Robert Chris’s abstract and modern creations are some of Texas most recognized art. Well respected in the pop art scene; his artwork is showcased in some of Houston’s best known galleries and restaurants. Robert has worked with many well known interior designers throughout the country creating custom pieces that are a reflection of the designers and their clients. Additionally, many of his clients quickly become collectors of his work and have commissioned numerous paintings. These qualities have made him one of the most sought after artists in the southwest. Honing his creative side, he has worked with many different mediums, but prefers to create primarily with acrylic paint on acrylic plastic. 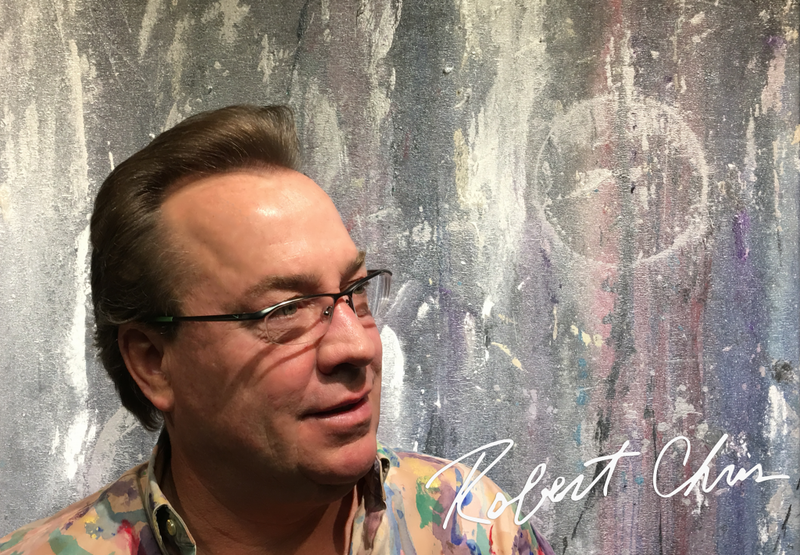 Drawing parallels with many of his fellow artists, Robert’s work exudes emotion, bringing different expressions to life on canvas; from passion to joy, rage to grief, and everything in between. He can be found daily in his studio creating new pieces for his clients or doing custom pieces for local designers and architects. Robert is an approachable artist, who loves to engage all his clients, designers, and architects.